Get More of your stay in France! Discover practical information about life in France: post office, pharmacies, weather in France, life cost, banks, supermarkets and so much more! Make sure to discover all the nicest spots during your stay in France, to get the Discover France Guide, PDF E-book of 40 pages in English for 5€, click on the link below. Online payment 100% secure. Payment is displayed in Euro but we support 135+ currencies! See the full details on the bottom. You will receive the Discover France Guide instantly on your e-mail address after buying it. You will be able to download the Discover France Guide on your computer in PDF and complete your lecture by following the http links available through the e-book. You will be able to store the Discover France Guide on the go, on a smart phone or tablet, to take the information with you when you are travelling. If you prefer you can also print the guide to bring it for your visit. Online payment is 100% secure. We accept Visa, Mastercard and American Express credit and debit cards in 135+ currencies. Payment is displayed in Euro, what if I don't use Euro in my country? Keep in mind that you can still have extra fees regarding of your bank conditions. 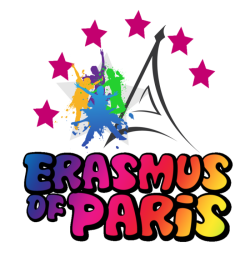 Copyright © Erasmus of Paris - All Rights Reserved.